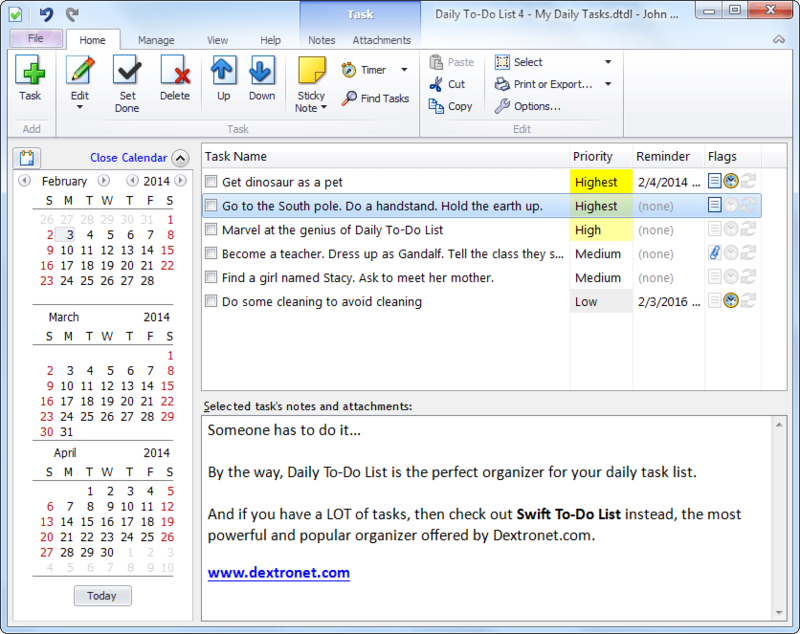 A Windows to-do list manager. // features to File Manager, for example, file and disk utilities. // Up to five extension DLLs may be installed at any one time. // messages to File Manager. // and a 'UserDescn=' tag. Comments (preceded by semicolons) are optional. // You may have up to twenty separate utilities specified. // setting (minimized, but not activated). // from growing too long. The tag to use is 'UserMenuName='. // more popular than the original DLL. // since it seemed to make more sense. // this situation, I'd be *really* happy to hear about it. // we may not be able to pass *all* selected file names. // snail: R.R. #2 - 777 Crozier Rd. // This utility DLL is FreeWare. Don't let *anybody* charge you for it.